Heel hooks are an important tool in your climbing arsenal. As our lower bodies are well suited to supporting our weight, using our legs as much as possible can save a lot of energy and help us climb more efficiently. Heel hooks allow us to use our powerful hamstrings to manipulate our bodyweight. However, tons of beginners and even experienced climbers try to heel hook a few times but never quite get the hang of it, and give up. They put their heels on the hold just like they see the good climbers doing, but when they try to use the heel, it just doesn’t feel solid, so they end up using more basic techniques which do the job, but are inefficient. What are they missing that the better climbers are getting? What is the secret to an effective heel hook? 2. 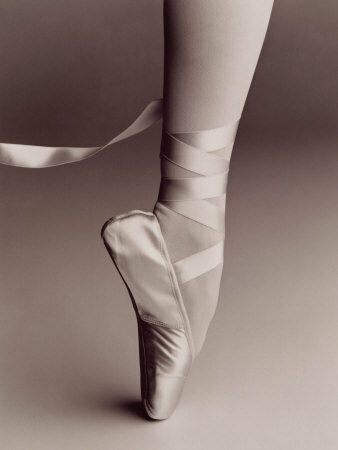 Point your toes AWAY from you like a ballerina going en pointe. Aim for a straight line from your shin to your big toe. By doing this you engage the calves to push the heel down into the hold, putting more weight on it which locks the heel in place. Tightening the calves also stiffens the lower leg, allowing weight to be transferred more effectively. 3. CRANK. Put your weight on that foot and pull hard with the hamstring and glutes. This isn’t the end-all be-all of heel hooking – there’s a lot more that can be said on the topic, but if you have had trouble with heel hooks before and wondered what the fuss is all about, give this a shot. It is said that our lives are comprised of a few dozen memorable moments and that the rest is just filler. The man who has led a full life will, in his final moments, witness his first kiss, his first paycheck, his wedding vows, and the birth of his child. It is these special moments that stand out from the humdrum of everyday life and make it worth living. The same might be said of our climbing careers. We spend so much time getting to the crag, scoping out routes, roping up, and belaying our partners, that relatively little is left for real rock time, those precious minutes when our pulses quicken, our focus narrows, and we call on a very specific set of skills and strengths to make a send that, right until the end, seems impossible. It is not that everything in between is pure tedium. Climbing life is full of moments that separate it from the monotony of the working week, and few can deny the lasting impression of experiences like wilderness sunsets and campfire gatherings. It is just that the moments which we really live for, the negotiation of tricky crux sequences and the red point of long-term projects, are fewer than we would wish for. On some days we plod back to the bus station or car park with forearms completely spent, but on just as many others we wish we could have fitted in just one more send. If, like myself, you are prone to overthinking, you might try to think of ways in which you could have gotten in more climbing between all the walking, gearing up, belaying, cleaning and lowering off. And you might then come to the conclusion that while it is not possible to save much time when walking in and gearing up (without making these usually leisurely activities feel rushed – not desirable on weekends), it is possible to save time on cleaning and lowering off, those rock-based activities which, though time-consuming, do not actually involve climbing. In this, the first of a series of articles on how to make your climbing safer and more enjoyable, I will address these important but frequently overlooked topics and, in doing so, will hopefully help you to raise your special moment quotient. Anatomy of a Carabiner from DMM Climbing on Vimeo. DMM is a UK climbing equipment company based in Wales. Known for quality craftsmanship and design, they’re one of the most respected gear companies in the business. For the full DMM Carabiner info page click here. When you’re a beginner, climbing is climbing, but as you progress through the grades, people start keeping score. Onsight climbing is doing a climb without any beta (information about the climb) beforehand. You rely on your skills and experience, route reading skills and your wits to get up it. You have no information besides what you can see, hence “on sight”. Onsighting climbs has traditionally been the most respected form of climbing and is the format used by most climbing competitions. Onsighting is more relevant to route climbing than bouldering for a number of reasons, not least of which is that it’s harder to claim a “pure” onsight of a boulder since you can touch many holds from the ground. Redpointing is completing a route on lead without weighting the rope. It used to be that the climber should put draws up while they climb, but as grades have been pushed further that distinction has been lost and clipping pre-placed draws is acceptable as a redpoint. The distinction between onsighting and redpointing seems quite clear-cut based on the above definitions, but there are actually a few gray areas which have sparked recent debate. Downclimbing on an onsight is a huge gray area in many climbers’ eyes. Downclimbing to an easier section or good rest is almost universally accepted, but what about downclimbing to a ledge? If downclimbing to a ledge is acceptable, what about downclimbing to the ground? This is where many people draw the line and distinction between an onsight and redpoint is blurred. Tangent to the downclimbing debate, most people have strong opinions about clipping draws before the send attempt. The general consensus is that pre-clipping or stick clipping the first draw on a route with a difficult or sketchy start is ok, but anything beyond that is questionable, no matter onsight or redpoint. Onsighting high grades is the holy grail of sport climbing and hard trad. It’s very difficult to onsight anywhere close to your redpoint grade, but good tactics can make a big difference immediately and long term strategies will improve your ability in the long term. Better route reading directly translates into better onsight performance. Route reading is not just memorizing the holds, but also identifying cruxes or areas with uncertain/not visible holds, making secondary plans in case things don’t go the way you expect, and planning how fast you will climb in each section. Spending more time route reading will immediately improve your onsighting but route reading is a life long skill that can be improved in the long run. Technically part of route reading, but important enough to warrant it’s own pargraph. Mike Doyle says it best “Good competitors visualize from a third person angle…. Great competitors visualize from a first person angle”. Visualize yourself climbing the route and seeing all the holds from a first person perspective. Harder than it sounds. When encountering a crux section, the immediate reaction for most people is to panic, which instantly ruins a limit redpoint. Having the ability to downclimb to an easier section is an invaluable tool of onsighting. Onsighting itself can teach you tactics and route reading, but by definition a successful onsight is below your maximal ability. To master climbing movement, learn to really climb efficiently and build up strength, copious amounts of redpointing and bouldering need to be added to the aspiring onsighter’s diet. Redpointing lets you try new moves and really pull your hardest without the worry that falling will ruin the ascent. Bouldering takes fear, clipping and belaying out of the equation, letting you try and learn hard movements super efficiently, and gain the kind of physical strength you’ll never be able to achieve on a rope. Long term strategy – Climb More. A lot more. One of the main reasons onsight ability is respected is that it reflects a wealth of climbing experience and skills. The more you climb, the better your onsight ability; there’s no shortcutting this process. Doing a lot of climbing on varied terrain builds an arsenal of moves in your movement library . A high volume of climbing will expose you to a great variety of movement in different situation, solidifying your climbing skills on different angles and different types of rock. More volume means you build up the experience to deal with all kinds of scenarios you’ll encounter during a hard onsight. Redpointing is less stressful than onsighting and emphasizes route-reading, mental game and contingency plans much less than pure physical climbing at your limit. Novices and climbers who enjoy the glory of the onsight often usually do not have optimal redpoint skills. To a novice, redpointing tactics seem like “cheating”, but in reality, all top climbers use these methods to send hard climbs efficiently. The number one fundamental redpoint tactic is working moves instead of climbing ground up each time. Climb or “cheat” your way up anyway possible to the moves you are having trouble with and work it while fresh to figure out optimal beta. It’s a redpoint, you don’t get extra points for climbing it ground up each attempt and you’re just wasting your own time, your belayers, and that of other people waiting to get on your line. If at all possible, it’s actually been pointed out that working a hard route top-down is the best method. That means getting to the anchors by any means possible and then working the moves in the top section, down, preferably on top-rope. You spend less time at the top of the climb than any other so are least familiar with it. When you get there you’re already pumped, making everything harder. Top down climbing is un-intuitive but for hard redpoints it’s a great tactic. Climbing a route for the first time is inherently slower than one you’ve tried before. Therefore onsighting requires endurance in all its forms. Aerobic endurance is necessary to recover at rests. Power Endurance(Anaerobic endurance) is needed to get through sustained climbing. Besides endurance, onsighting also emphasizes lock off ability. When the quality of a hold is uncertain, launching for it with total commitment can be risky. Lock off strength lets you use holds while still weighing the previous hold, giving you a few precious milliseconds to find the best way to use a hold before totally committing your weight to it. Specific lock off drills can be done to train this ability. Finger strength is the final component of being strong for onsighting. Unlike redpoints where you can slowly optimize your climbing over many attempts, on an onsight you only have one attempt and most of the time when you grab a hold, you have to use it whether you grabbed it the best way or the worst. Redpoints do not emphasize any particular physical aspect the way onsights do. Instead, increasing general climbing fitness helps redpoint fitness. For specific routes, you might tailor your physical training for that route – for instance an endurance route, a sloper-fest, etc. White like cocaine and just as addictive, Chalk is Magnesium Carbonate, a powdery drying agent we use to dry our hands and help us stick to the rock. More Chalk = More Friction? On paper, dry hands on clean rock gives the maximum amount of friction. However in the real world, hands sweat, and hands sweat even more when they are squeezing or pulling. Thus, chalk enhances friction– up to a point. When too much chalk is used at once it creates a barrier between you and the rock and decreases friction. This is the reason after dipping a big handful of loose chalk climbers will often clap their hands, slap their pants, or “French Blow“, to get that perfect thin layer of chalk. Chalkbag – On a carabiner or a waist belt?